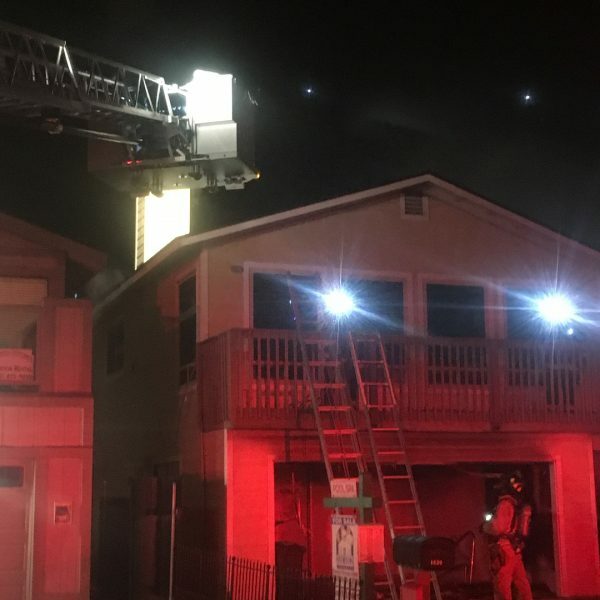 The fire broke out at about 4 a.m. at the two-story home in the 1600 block of Laguna Drive, according to the Five Cities Fire Authority. A for sale sign was standing outside the home, a photo published by fire personnel shows. Five Cities firefighters extinguished the blaze with help from Cal Fire. No one needed to be rescued, as the house was reportedly vacant at the time of the fire. There are no reports of injuries as a result of the blaze. The cause of the fire is unclear. Officials have not disclosed how much damage occurred to the house.